HARRIS COUNTY – Voters can start to begin to cast their votes starting this Monday, October 22. This mid-term election is considered by most political observers to be an important statement about the current Republican control of the White House, Congress, and the Texas government. Although the president is not on the ballot this time, many important seats in Congress and Texas will be decided. In addition, a number of local Harris County positions are on the ballot, and an important choice in the city of Houston regarding pay for firemen. The election for U. S. Senate has probably gained the most attention, both in Texas and nationally, Incumbent Senator Ted Cruz has seen a strong challenge from Democratic candidate Beto O’Rourke, who has raised much more money than Cruz in his campaign, and seems to have an enthusiastic grass roots support among the public. A visit last Monday by President Trump on behalf of Cruz is thought to boost his chances for re-election. A number of U. S. Representatives seats are open for election, including District 2, formerly held by Ted Poe, who retired. 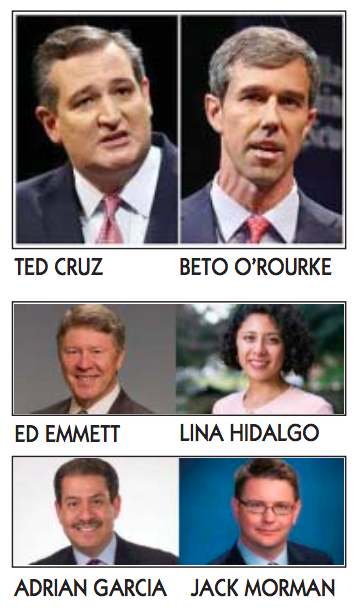 Candidates in this district include Dan Crenshaw and Todd Litton; District 6, with incumbent Kevin Brady vs. Steven David; District 18 with incumbent Sheila Jackson Lee vs. Ava Reynero Pate; and District 29, where long term Representative Gene Green has retired, and State Senator Sylvia Garcia is running against Phillip Aronoff. Governor Abbott is defending his seat against challenger Lupe Valdez, and Lieutenant Governor Dan Patrick is running against challenger Mike Collier. Another state race that has gathered attention is Attorney General, where the beleaguered incumbent Ken Paxton is running against Democratic challenger Justin Nelson. In state Senate races, in District 7 incumbent Paul Bettencourt vs. David Romero; and District 15, Randy Orr is challenging incumbent Democrat John Whitmire. A number of State Representatives are running unopposed, and therefore will be re-elected. These include Brisco Cain in District 128; Armando Walle in District 140; Senfronia Thompson in 141; and Ana Hernandez in 143. Harris County Flood Control District will launch the first phase of a multimillion-dollar maintenance project in November 2018 to selectively clear trees, remove vegetative debris and improve stormwater flow along Cedar Bayou from Interstate Highway 10 to near Huffman-Eastgate Road. This relatively rural bayou forms the eastern boundary of Harris County with Chambers and Liberty counties. The Flood Control District has conducted selective clearing over the last few years along forested tributaries of Cedar Bayou within Harris County and recently completed a post-Hurricane Harvey debris removal effort on Cedar Bayou focused mainly on removing channel debris near major bridge crossings. This new effort will involve a comprehensive selective clearing of the main Cedar Bayou channel itself. 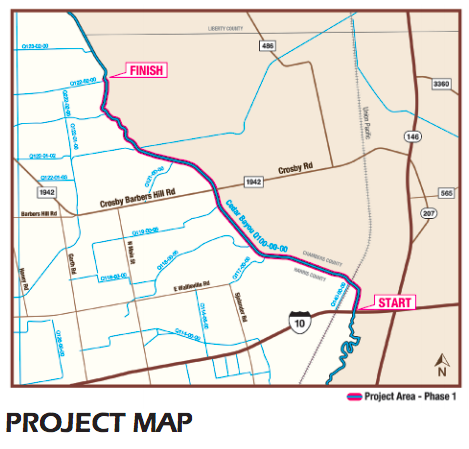 With Harris County Commissioners Court approval, a $500,000 first phase of the project from IH-10 to just south of the Liberty/Chambers County line will begin in November and last about two months. This phase includes nearly 8 miles of Cedar Bayou and will be funded through the Flood Control District’s annual operations and maintenance budget. A 14.5-mile second phase of the selective clearing project, from near the Liberty/Chambers county line to the Huffman/Eastgate area, will follow in 2019 and is estimated to cost approximately $1 million, for a total project cost estimated at approximately $1.5 million. 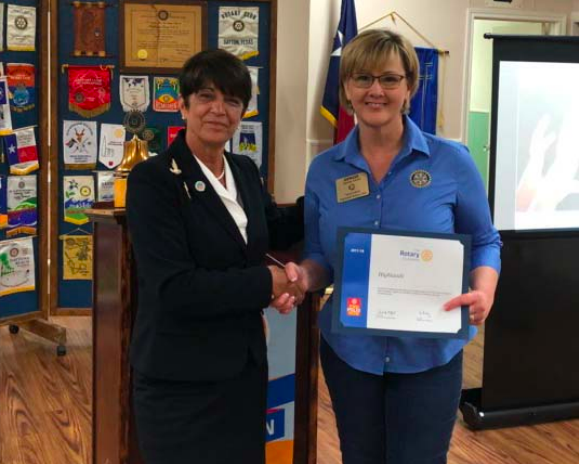 District Governor Carmen Cuneo presents Highlands Rotary President Denise Smith with a Certificate recognizing the club for 100% participation in Rotary Foundation’s Giving for the End of Polio Now Fund. The club also presented a check for $300 toward the Rotary 2019 Conference for Peace and Conflict Resolution. Chief Financial Officer Lesa Jones gave a financial update report concerned with the T.E.A. Financial Accountability System. The Resource Guide expects Financial Accounting and Reporting. 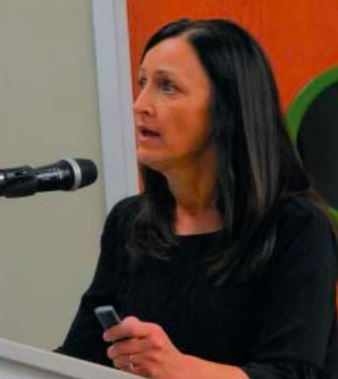 CROSBY – A school board meeting last Monday filled many in on how the next incoming audit will address the financial conditions and the State of Texas Comptroller had issued a preview of the financial conditions. It is believed that some 46 other contracted employees have been laid off to hit about $5.5 Million in employee reduction. 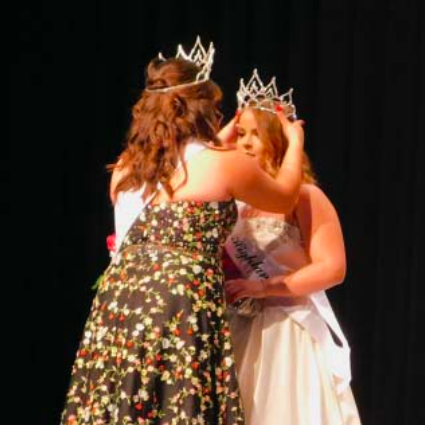 2018 Miss Highlands Kaitlyn Rolin is crowned by 2017 Miss Highlands Victoria Gonzalez. The 2018 Miss Highlands Pageant was held last Saturday night, hosted by the Highlands Horizon club. Earlier in the day, they also held the Jr. Miss Highlands pageant. Miss Highlands 2018 is Kaitlyn Rolin. She is a junior at Goose Creek Memorial High School, and her parents are Glenn and Teri Rolin. Jr. Miss Highlands 2018 is Payton Radle. She is a 7th grader at Highlands Junior School. Her parents are Tammy & Chris Felder, and Steven Radle. Hundreds attended the event, held at the Highlands Junior School auditorium. This is the 61st annual Miss Highlands pageant. The Theme was “Bringin’ Back the 80’s.” The emcee for the shows was Baytown Assistant Police Chief David Alford, with the help of Victoria Gonzalez. COLOR PHOTOS of the Highlands Pageant, Page 8 of the print edition. This tractor and trailer were stolen from the fairgrounds and the stolen trailer used to take the tractor. CROSBY – The Crosby Fair & Rodeo has been the victim of many burglaries over the last two decades and the board members decided to put new technology together and team with Precinct 3 Constable Sherman Eagleton’s Department to stop this expensive drain on a charity that bestows college funds to local high school students. Last Oct. 7 they were hit again but measures were in place to identify the perpetrators and the Constable’s Deputies wee able to find the stolen goods by Oct. 9. Later when a suspect called to get his truck back from impound, he was invited to come get the truck and upon arrival and a few questions later, placed under arrest. The name of the perpetrator has not been released by the department but his photograph has. 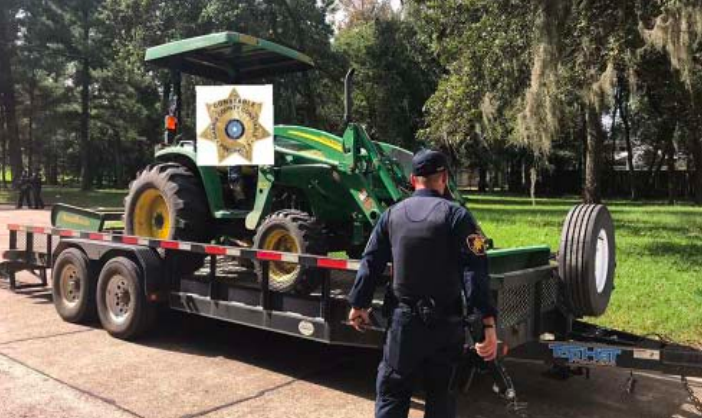 It seems he had placed a stolen vehicle and several stolen items at his father’s house and when found the father told deputies who had placed those items there. CROSBY – Family Vision Center of Crosby has been burglarized several times in spite of security devices and twice in the last 9 months with a total loss of about $1000,000. The burglars seemed to target designer frames and sunglasses in both burglaries. Harris County Precinct 3 Constables Office conducted an undercover operation that resulted in arrest of three individuals. They have been charged with Burglary of a Building however a fourth suspect remains at large. Covestro accelerates its investment activities to capitalize on the strong MDI market growth. Today, the Supervisory Board of Covestro has approved an investment of around EUR 1.5 billion to build a new world-scale MDI plant in Baytown, USA. 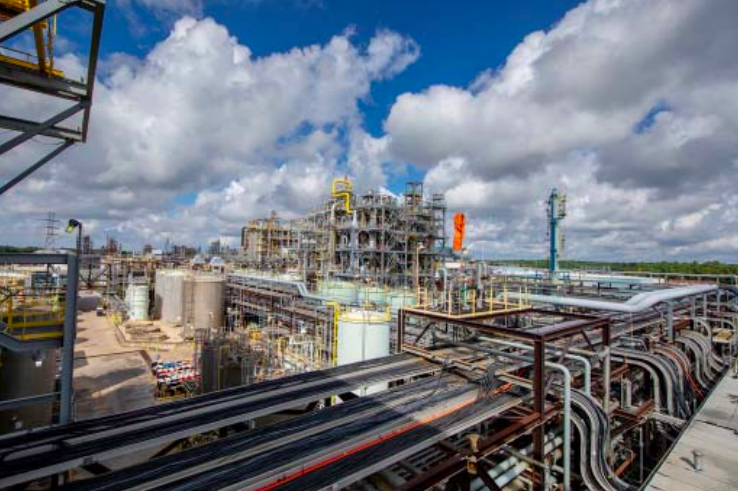 This investment at the existing site in Baytown is the largest single investment in the history of the company. Total capacity of the new train will be 500 kilotons MDI per year, start of production is expected in 2024. At the same time an older, less efficient MDI unit of 90 kilotons production capacity will be closed. Thus, total MDI capacities of Covestro in the NAFTA region will reach around 740 kilotons per year making Covestro the industry capacity leader in the region by 2024. With that, Covestro will also strongly underline its global industry capacity leadership position. Finalists for the 2018 Texas Downtown Association President’s Awards Program were recently announced in Austin. For over 30 years the awards program, sponsored by the Texas Downtown Association (TDA), has recognized outstanding projects, places, and people of Texas downtowns. One hundred and eleven entries were submitted in eleven different categories from communities across the state. Judges reviewed entries online and then met in person to make their final selection of award finalists and winners. Baytown’s Umbrella Alley is one of the finalists for the Texas Downtown Association Spirit of Downtown Award. 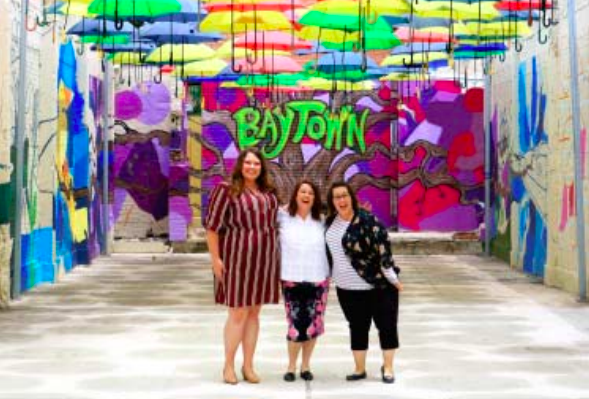 The Baytown Tourism Division on behalf of the Baytown Pubic Art Visioning Committee unveiled the beautiful Umbrella Alley in the Downtown Arts District in early May 2018. This Public Art Visioning Committee is made up of individuals from the downtown business area including the Art League of Baytown, Lee College Art Department, Sterling Municipal Library, and other local influencers who hold Baytown’s best interests at heart. In the past, the alley was filled with broken concrete and graffitied walls, but now the Umbrella Alley is occupied with colorful umbrellas that swing back and forth in a whimsical limbo, casting dancing shadows along the alley walls and ground; the alley walls are getting a splash of color as a mural comes to life that focuses on the highlights of Baytown. The artists working on this mural are students from the Lee College Art Department which is located at the end of the Downtown Arts District. This collaboration among downtown partners has garnered regional response, and brought special attention to the Downtown Arts District area and the business’s that are located there.